These are words that can fill a parent with a sense of helplessness. It is expected that teenagers will have periods of up and down moods, but when the mood stays in a perpetual state of “down”, it can be very concerning. Articles on the subject are filled with the saddest stories of young lives interrupted by suicide, leaving devastated family and friends to decipher the reasons why. Symptoms of depression can range from agitation, fatigue, inability to focus or concentrate, a drastic change in sleeping or eating patterns, no interest in activities that were once enjoyed, or complete withdrawal from loved ones and friends. No parent wants to see their child succumb to this, and many seek medical attention. This often includes intense therapy and a complete physical, which may lead to prescribing an antidepressant medication. According to TeenDepression.org statistics, at least 20% of teens will be diagnosed with depression at some point. Many of those teens will be prescribed an antidepressant, which is of course intended to alleviate the feelings of despair. Antidepressants are said to work by adjusting the body’s serotonin levels, or the transmitters that regulate moods. The lower these levels are, the more prone a person is thought to be toward depression. 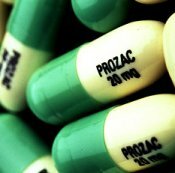 The most common one prescribed to teenagers is fluoxetine, or Prozac. This falls under the SSRI class, in which the serotonin is inhibited from overloading in the presynaptic cell where it is first transmitted and is increased to the synaptic cleft of the brain. This is supposed to regulate the levels, and ideally keeps the mood on an even keel. Fluoxetine and its derivatives are the only antidepressants that are approved for children between the ages of 5 and 18. For the cases where it is well-tolerated, there has been relief to some degree for these teens who are in the depths of despair. The problem is, very often cases of depression are over diagnosed, especially in teenagers. Under the best of circumstances, the teen years are filled with an upheaval of emotions and feelings that often overwhelm them. It is important not to mistake the normal ups and downs of growing up with an actual chemical imbalance. Considering there are many schools of thought that have serious doubts about their effectiveness when it is warranted, it is essential to make sure your child’s health is in the hands of someone that will exhaust all other possibilities and will do a complete physical exam with blood tests if indeed an antidepressant is prescribed. The reason this should be taken so seriously is because antidepressants have been found to have an extreme side effect in children and young adults. Suicidal thoughts and actions have increased in many of the patients taking them, especially those in their late teens and early twenties. The warning falls under the category of a “black box”, which requires this side effect to be listed plainly in bold print on the prescription itself. Giving antidepressants to anyone who is not actually suffering from depression can take a temporary upset and turn it into a full-blown problem. A reputable doctor will be cautious in prescribing medications and perform all necessary tests before doing so. If medication is warranted, side effects should be monitored carefully. This holds true of all patients, but especially those between the ages of 15-25. Whatever the reason, be it genetically related or otherwise, the fact is that many people react as badly to the antidepressant as they do the depression – in some cases, much worse. Even with fluoxetine being approved, the warnings are still plainly listed. It is a very serious side effect to consider – the possibility that this pill may cause a young person to want to commit suicide. Depression is a genuine illness and should receive medical attention without a doubt, however the presence of medication should always be seriously thought out, examined, and carefully monitored. 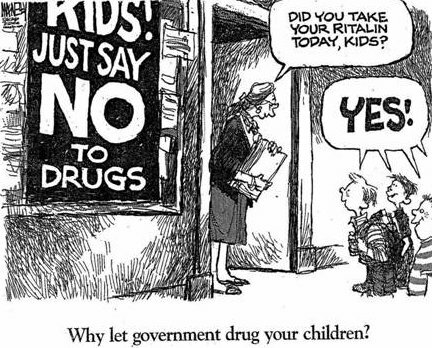 Remember, the pharmaceutical companies are a business. They are set up to make money, and new “wonder pills” are produced daily for us to “make it all better”. This is why it is so important to research any medication prescribed as well as its side effects and how much time has been spent in clinical trials. Another danger in antidepressants is withdrawal. If side effects are present, it is not as simple as “stop taking it”. These medications build up in the body and to suddenly remove them will cause the side effects to become worse. If side effects are present, the physician needs to be contacted immediately so a carefully monitored withdrawal can take place. This usually involves reducing the medication slowly until the body is no longer dependent. There is also the factor of the time it takes for the medication to take effect once started. It takes a few weeks for an antidepressant to have noticeable results, and in the meantime, the person is still left feeling hopeless. This is another reason that therapy must be accompanied with medical treatment. Should antidepressants be avoided altogether? No, not necessarily. They have been lifesavers for some people, but the fact is there are far too many of these medications coming out that have not had enough time to go through the testing to determine what side effects they have or if indeed they will work at all. For this reason, there are no antidepressants that are approved for teenagers other than Fluoxetine to treat depression. 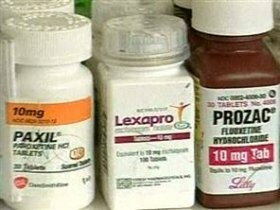 Lexapro, another SSRI, is the exception as it has been approved to treat issues such as Social Anxiety or Obsessive/Compulsive disorders in younger people. Other SSRI’s, such as Paxil have not been approved – and yet doctors prescribed these medications to younger patients until 2003 when the FDA specifically stated that paroxetine (Paxil) was not to be prescribed to children and teens. The fact is, a pill does not make life better. If needed, it is a tool to assist someone in the ability to see the dreams. It is still up to the person to achieve them.